Sadly, Laura has little option but to end her marriage. But leaving Jeff doesn’t bring an end to the heartache. In fact, the nightmare is only beginning. Jeff seems to be everywhere and his vindictiveness knows no bounds… A bewildered Laura finds herself cornered and vulnerable as her life spirals out of control. But the seeds of Laura’s present dilemma may well be rooted in her past, a past she knows little about. And that lack of knowledge could lead to her downfall, or even her death. What can Jeff possibly know about her past? 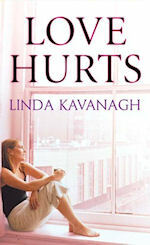 And how can Laura fight back, when she doesn’t even know what she’s fighting for – or why? There was a moment when Ivy Heartley could have told the truth. But she didn’t. 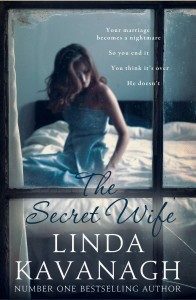 Now she’s burdened with a terrible secret – something so awful that she must constantly live in fear, since its disclosure could destroy her marriage, her career, and turn her own son against her. As the star of Bright Lights, a soap that airs nightly on TV, Ivy has achieved fame and fortune, and led a charmed life, adored by millions of fans. Her husband Danny is managing director of one of the country’s leading supermarket chains, and their son Joseph is at university. And all this time, her secret has lain hidden beneath the waters of the lake in the Lincolnshire village where she grew up. 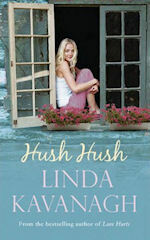 As a regular visitor to Willow Haven, where Ivy and Danny’s families still live, she must regularly confront the scene where terrible things happened many years earlier. The demons are never far away, and the tragic legacy of her teenage years has always been on her mind. Will she ever be able to forget what happened? Or will her past destroy her future? As Claire starts out on her journey of revenge, she finds herself in a world where nothing is quite what it seems. Will she succeed in avenging Zoe, or are there further secrets to be uncovered? Caroline is preparing for her wedding which should be a frenzy of satin and table favours galore, but she accidentally discovers that she has an aunt she never knew about. 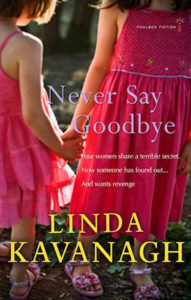 The aunt left after a big family row in the 1970s, before Caroline was born, and was never seen or heard of again. What caused Caroline’s family to disown a beloved daughter, where did her aunt disappear? Caroline decides that she wants to find her, get the family to sort out their differences and have her aunt at her wedding. Needless to say, nothing goes as planned. Alice is backpacking alone in Argentina, having left her husband back in Ireland while she makes a major decision about whether to stay with him or not. She’s uncovered secrets she’s unhappy about, and has chosen the solitude of travel to sort out her head. But events start to happen, and suddenly she’s thrown into a frightening situation, where she doesn’t know who she can trust, nor does she understand why she’s suddenly become a target. 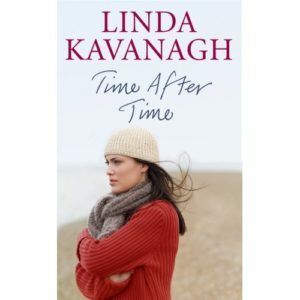 Time After Time explores the impact the past has on the present and how secrets can come back to haunt you. Lucky Olivia Doyle has just been given a start on the property ladder! Her grandmother and great uncle have given her an old country house on several acres of land in Cloncullen, a pretty village 50 miles outside Dublin. But the house has its own secrets, and no one in Cloncullen wants the past raked up. How far will they go to stop Olivia from finding out what went on there in the past? Secrets hidden for half a century are finally revealed, as past and present come together in an astonishing twist of fate…. Solicitor Joanna Brennan is asked to administer the will of her mother’s friend, Agnes Kilmartin, who has just suffered a serious heart attack. Agnes is about to reveal the secrets behind her bequests, but passes away before she can tell Joanna the truth. To fulfill the unusual requests in Agnes’s will, Joanna must embark on a journey back to the past – to a long-forgotten murder and a world where nothing was as it seemed. Tom Kilmartin, Agnes’s son, doesn’t understand the will either, but is keen to uncover the secrets it is hiding. 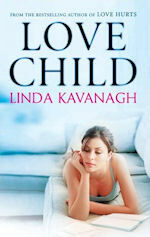 As Joanna starts to investigate her mother’s past, her relationship with Tom deepens. But is he someone she can trust, or has she misread the signs? 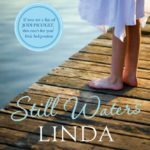 Moving between a horrifying mystery in the past and a web of lies in the present, Joanna must face some dramatic truths that will alter all their lives forever. It is the funeral of Ciara’s beloved husband Niall and friends and family gather round to offer their support. But with the discovery of a hidden photograph, Ciara’s faith in everything that she holds dear is shattered into tiny pieces. Unbeknownst to Ciara, someone at the wake wants revenge. And that someone knows Ciara’s shameful secret and has been using it to undermine her, and make her pay for a lifetime of happiness, love, success and security. But how far will this mysterious person go to make Ciara pay for something that happened 30 years ago? And can she survive the next few months while her unseen enemy delights in twisting the knife, while evading all Ciara’s efforts to discover their identity? Has one of her friends been secretly manipulating her? Life can become very difficult when the past comes back to haunt you.